Our new digs in Dallas. So much has happened during the past month, and here we go again! After being so jazzed that we were winners of several ARTS Awards in Dallas, we’re heading to Las Vegas Market this week where we’ll be celebrating our 30thAnniversary with our West Coast design community (and everyone else who travels there from parts far and wide) from January 27 through 31. Join us for our “Thanking You for 30 Years Cocktail Party” on January 28 from 3 to 6 p.m. in our showroom (World Market Center, Building C, Suite 398). As you salute us, we’ll be saluting you for helping us get where we are today! We’re Turning 30 as Winners! 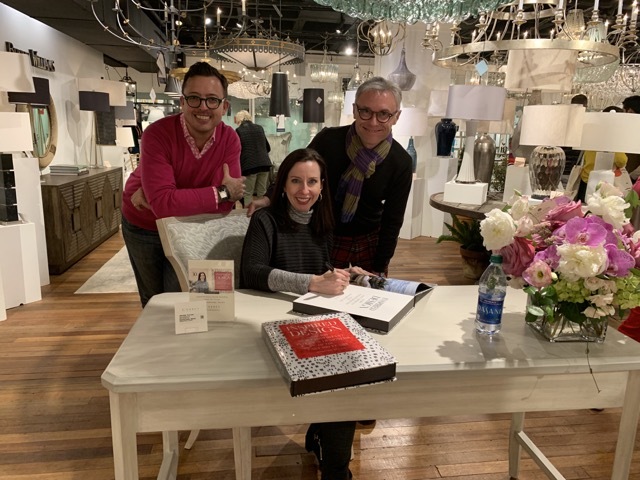 The Madcap Cottage gents, Jason Oliver Nixon and John Loecke, have Jennifer Boles sign their book during Atlanta Market. We’d like to thank everyone who stopped by the showroom in AmericasMart during the Atlanta International Gift & Home Furnishings Market earlier this month to help us celebrate our anniversary there. 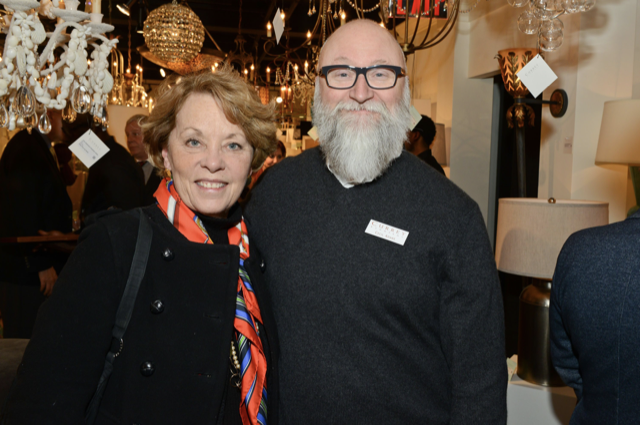 We had so much fun hosting Jennifer Boles’ book signing and introducing the products we unveiled during High Point Market last fall to the Atlanta design community. Our expanded showroom in Dallas. Proving that design never sleeps, we had no sooner ended Market in Atlanta when we found ourselves winging our way to Dallas for the Total Home & Gift Market. 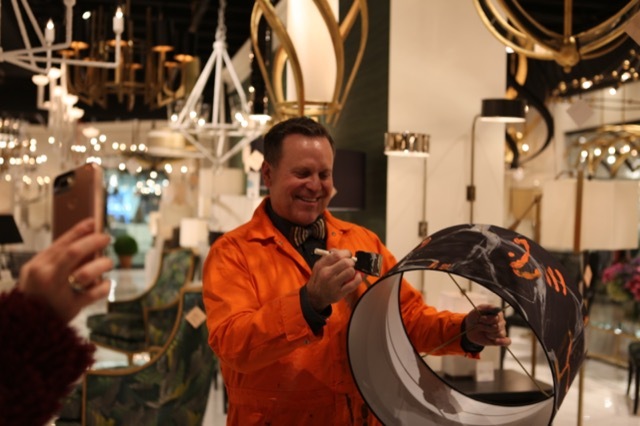 Kelly O’Neal of Design Legacy painted lampshades in our Dallas showroom. Our ARTS Award for Accent Furniture. 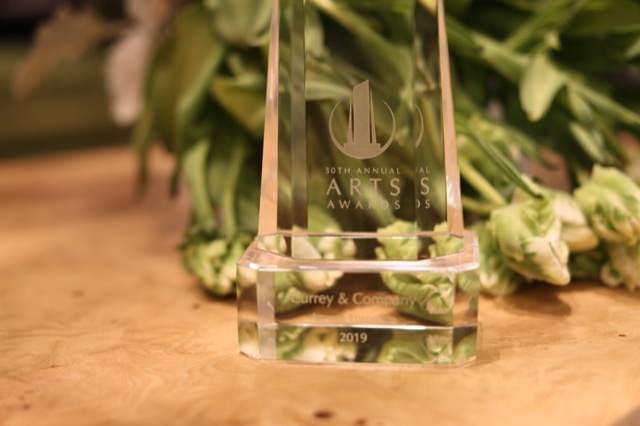 It just so happens that Currey & Company and the ARTS Awards are the same age, and the 30thhanding-out of the coveted clear obelisks was very good to us. The judges also declared several of the designers who envision some of our most popular products as winners. 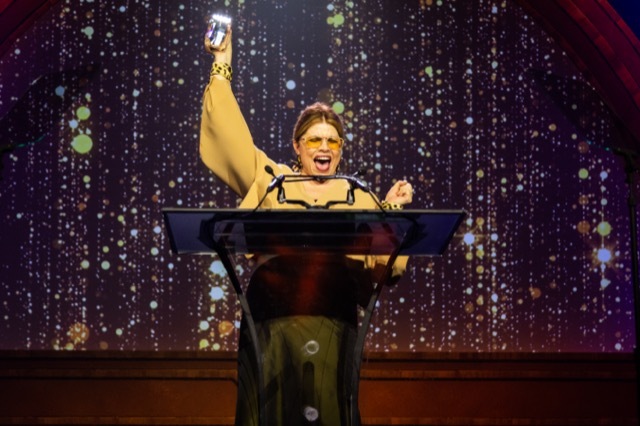 As Jane Dagmi, the editor-in-chief of Designers Today, puts it in her wrap-up of the evening, “The ARTS Awards are like the Golden Globes of our industry.” This year, more than ever, the excitement stirred by the accolades felt just as giddy to us as the movie-industry equivalent must to the celebrities who are recognized for their work. We were also tapped for Best Visual Presentation for our new showroom, and two of the designers with whom we are so fortunate to collaborate took home statuettes that evening. Denise McGaha won the ARTS Award for Best Interior Designer and Aviva Stanoff took home the obelisk for Best Textile Company. We salute both of these super talented women who continue to inspire us immensely. Denise McGaha, one of the most exuberant winners of the evening, celebrates her win during the ARTS Awards ceremony. 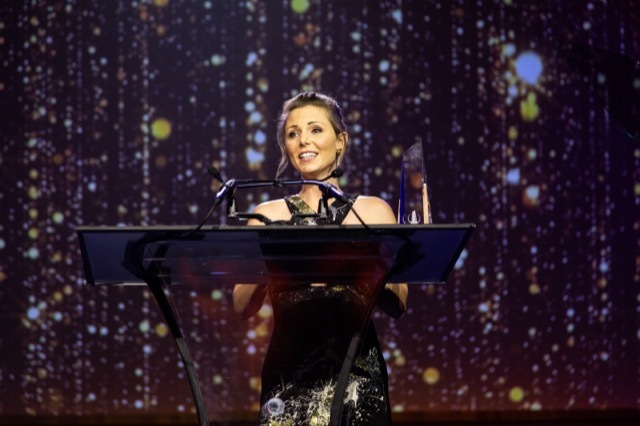 In congratulating all of this year’s winners, Cindy Morris, the president and CEO of Dallas Market Center, said, “It was an evening of surprises and joy but most importantly it was an opportunity to celebrate our community of entrepreneurs and artists, sales leaders and legendary figures.” The full list of winners for this 30thinstallment of the awards does indeed include a who’s who of our industry and we would like to congratulate them all, as well. 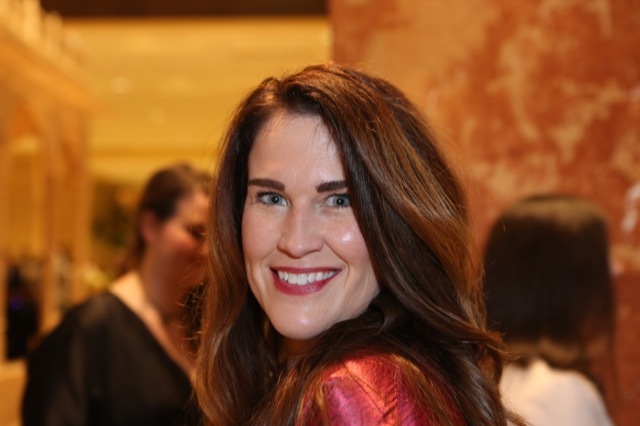 As a further celebration of the feminine energy that dominated our list of winners, we thought we’d share with you the thoughts of two women who have significantly impacted our success. We asked them to give us their thoughts about our 30thAnniversary as a company and they didn’t disappoint. Kris DeMesse with our VP of Creative Cecil Adams. Describing the long and rich collaboration we have had with Winterthur Museum, Garden & Library, the museum’s Kris DeMesse notes that 23 years ago our founder Robert Currey began selling their Arden Collection of garden furniture, which was a bent-twig design made of iron. “Robert is so charming, he could sell a dead horse to a jockey,” she says. “He just makes you want things and before long, our furniture was ending up everywhere!” About the same time, the museum’s buyers for the catalog landed in our showroom at High Point. They were looking for lighting made from materials they weren’t currently able to source and found that our range of materials was appealing. 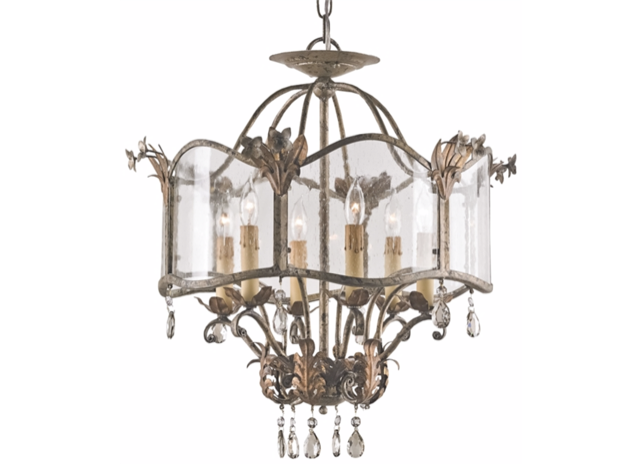 Our Zara Pendant/Semi Flush fixture in the Winterthur Collection. This makes it easy for a researcher to unearth untold treasures, she says, adding, “Someone came to us looking for a photo of Victorian shoes with flowers on them. Believe it or not, we found one!” Kris calls our relationship one of the most creative they have seen, which makes us quite proud given the stature of this museum and property. “When so many company’s do product development, they are often workman-like,” she explains. “When Cecil or Tom come and do research, they bring a remarkable passion in taking what they are seeing and making it come to life. They give the products they create extraordinary personality.” This is certainly music to our ears! 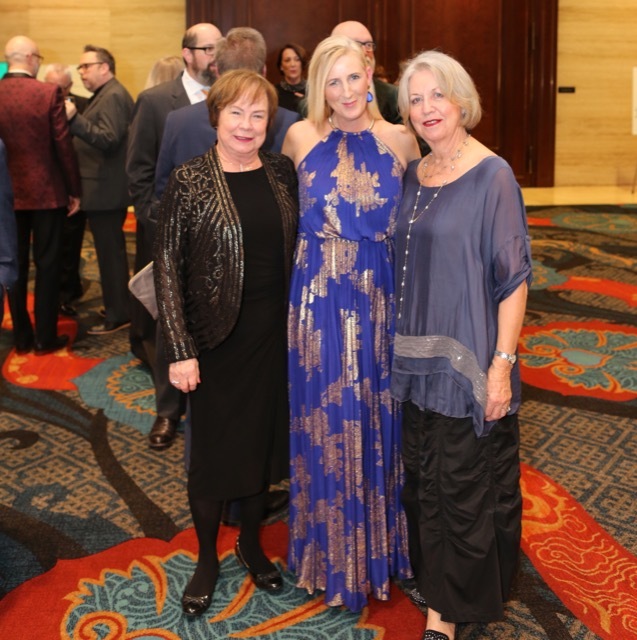 Betty Robbins, at left, enjoys the ARTS Awards celebration with Kerri Shay (center) and Margarethe Martin (right). Though Betty is now one of our most successful sales representatives whose territory includes Alabama, Georgia and the panhandle of Florida, she has helped our company be successful in a number of ways during the past three decades. As a member of a rep group that sold home furnishings at the time, she was sourcing garden furniture and accessories from our founder Robert Currey before our company was formed. 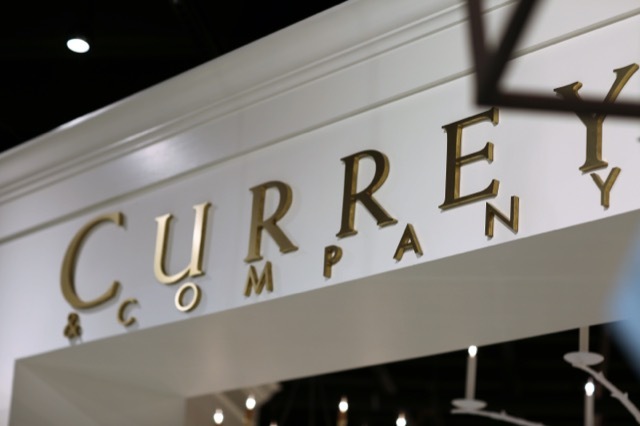 “As time moved on, Currey & Company began to take shape,” she says. “As it evolved from a source for garden products to include lighting, I came on board as Bob Ulrich’s assistant.” Betty quips that Bob is fond of saying she knows where all of the skeletons are buried! She notes that we have been more like a family to her rather than just a job. “The company has given me a chance to grow,” she says. “This makes me care about it like it is my own.” In this vein, it is clear Betty is passionate about what she does: “I want us to be the best at whatever we undertake and anything that keeps us from getting there gets a rise out of me!” She certainly talks to enough people to know how our reputation is faring in the eyes of others, given she’s on the road so much of the time. Fortunately, she likes to travel. Though the products always take center stage, she feels compelled to shine a light on how many other ares of business we excel in: “Currey & Company does an unbelievable job at supplying us reps with materials in a timely manner. Another thing that sets the company apart is how many products they stock. Both of these things make my job easier.” Her loyalty is contagious, as is her respect for what we have built. In many ways, she sees us as an arbiter of taste. Among our most popular items that proves our artistry with concrete is our birdbath, which was introduced in new sizes in October. 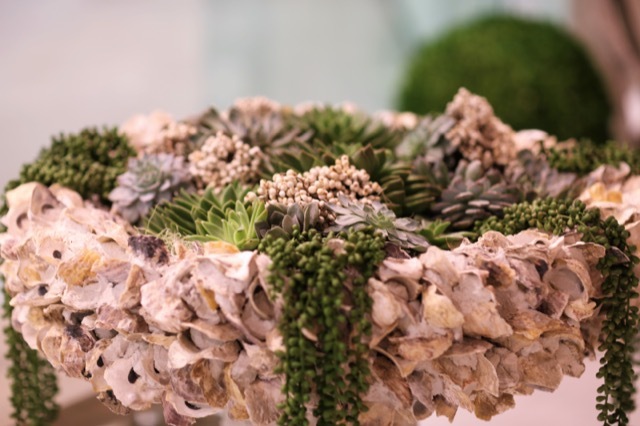 Shown here, it’s dripping with succulents in our new Dallas showroom. 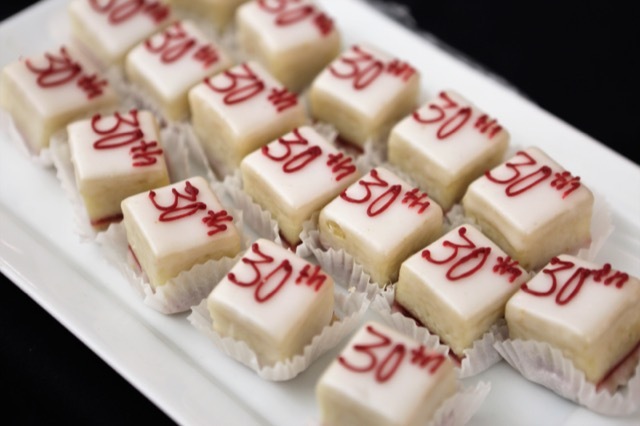 Petit fours from our Dallas showroom celebrating our 30thanniversary. We couldn’t have said it better, Betty, and we are clearly aware that it is people like you who have helped us create a company that is so vibrantly alive for 30 years and counting! Beth Tilley Green dazzles us with her camera! We’d like to thank Beth Tilley Green, who had the camera turned on her during the ARTS Awards, for the wonderful images from Dallas. Her images are always winners in our eyes! This post by Saxon Henry, a content strategist and The Modern Salonnière. 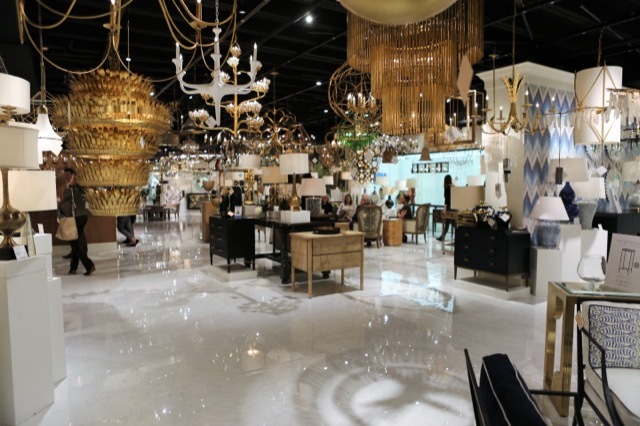 This entry was posted in Currey & Company, Market, News and tagged Chandeliers, Company Happenings, design influencers, Events, faux bois, Lighting, Oyster Shell on January 24, 2019 by Saxon Henry.